We have a few big readers in the office who have all mentioned how summer is their time to catch up on reading materials. Even more true for instructors, there is no better time to sit down with a book than a long summer evening. This blog post was written by the CoverMyMeds team and might help practicing nurses learn more about prior authorization for medications. 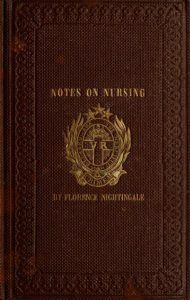 If you're a Nurse Educator, this could also give you some ideas for how to discuss prior authorization with your students or incorporate it into simulation. Did you know specialty medications make up the majority of the prescription market? Most require Prior Authorization (PA), which can leave you and your co-workers trapped in the endless paper form and fax cycle of the traditional PA process. Prescribers writing scripts for specialty meds can often lean on their nurses to handle the details when it comes to completing PA requests. Today, the team at CoverMyMeds wants to fill you in on some new stats regarding specialty meds and the new electronic solutions available to help alleviate some of the headache when completing PA requests. Specialty medications often manage chronic disorders (multiple sclerosis, hepatitis C and immune deficiencies are a few examples), and can require special administration (i.e., through injectable or intravenous (IV) infusion). Another defining characteristic: specialty medications are expensive. The industry generally recognizes any medication costing $1,000+ per 30-day supply as specialty. So is PA required for all specialty medications? While there are always exceptions, specialty medications likely require a PA request. 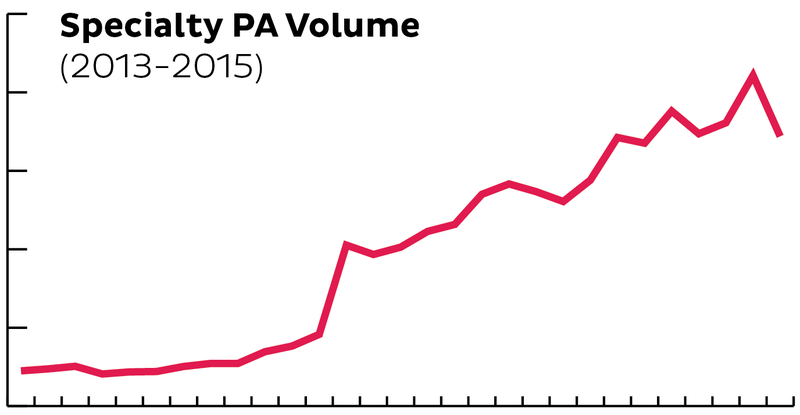 With a significant increase in specialty meds, we’ve seen a direct correlation to PA requests spiking as well. As new medication continues to develop, this will be something that continues to trend upward. What takes the PA process so long, anyway? Prior Authorization: The patient’s prescription coverage plan needs extra information about why your patient needs the prescribed medication in order to determine benefit coverage. The PA process involves several parties (pharmacy, doctor, health plan, patient) and is often time consuming. CoverMyMeds steps in to limit the inevitable back and forth, with an electronic, streamlined solution for nurses and their staff. Instead of printing a form, manually filling it out and sending a paper copy to the plan, you can now complete all requests, from start to finish, through the CoverMyMeds web portal or directly through your electronic health record (EHR), at no cost. Wait, so who are you again? Our story began back in 2008 when a pharmacist and a tech guy questioned, “Why won’t the health plan just cover my meds?” Today, we are the leading electronic prior authorization (ePA) company in the nation, helping more patients receive the medications they need in order to live healthier lives. In fact, more than 600,0000 providers and staff use CoverMyMeds to manage PA requests, along with 80 percent of the pharmacy network, nationwide. As a Provider or Medical Professional, how do I make the process easier, like you mentioned? An electronic solution, such as CoverMyMeds, is your best bet. You may already have access to manage PA requests within your EHR system. If not, it’s easy to get started with the CoverMyMeds HIPAA-compliant online portal. Simply create a free account or log in to complete your next PA request in minutes! By completing PA requests electronically, your office will save time, reduce administrative waste and help patients get the medications originally prescribed. On average, users indicate they complete PA requests in 3-5 minutes through CoverMyMeds versus the traditional fax or phone process, which often requires 15-20 minutes. The CoverMyMeds solution works with all health plans and for any drug (retail and specialty). This is important to ensure you only need to work through one process for any scenario — even Medicare and Medicaid. Want personal help getting started? Live chat our PA experts or call 1-866-452-5017. Summer is the perfect time to get CE credits! With a month or less of summer left, we know many instructors fill summer with assessing new resources, planning for the coming year and attending conferences. We'd like to make another suggestion if you find yourself with a little extra time during long summer evenings: get your CE credits out of the way! EHR Tutor now integrates with Medication Cabinets! EHR Tutor's "Scenes" makes unfolding scenarios a reality for Nursing and Health simulation! EHR Tutor announced the release of a new "Scenes" feature as a way to create unfolding scenarios in simulation. After our last webinar on Medication Cabinets, Carts and EHRs, we realized that not only is there confusion about what each product does, but there is confusion regarding how to use any one of these products in a Nursing or Health simulation lab. 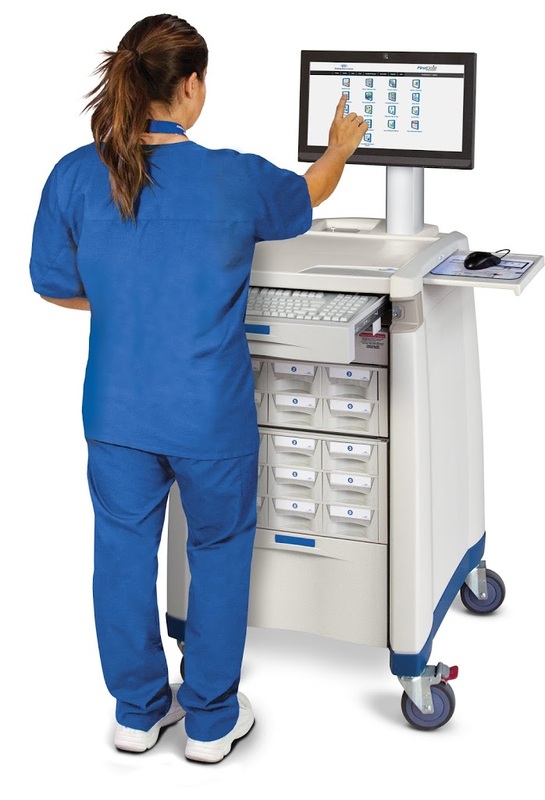 Join our Webinar: Medication Carts, Cabinets and EHRs How do they fit together and what do you need? When it comes to medication administration and medication dispensing, we find that setting up a simulation or skills lab can get very complicated very quickly. This quick, 20 minute webinar will discuss the differences between medication carts and medication cabinets, as well as describing exactly how an EHR fits into the equation. This webinar is great for any school considering buying, using, or expanding the use of an EHR system or medication dispensing system. If you are not able to attend but would like more information on our Academic Electronic Health Records system, contact us at sales@ehrtutor.com. EHR Tutor, an easy-to-use electronic health records system, will be available to package with all F.A. Davis texts. This is a great example why technology in the classroom is so important! We talk a lot about how EHRs can help improve the cost effectiveness of medical treatments. But what's one of the primary ways to cut costs? Turns out it revolves around nurses.